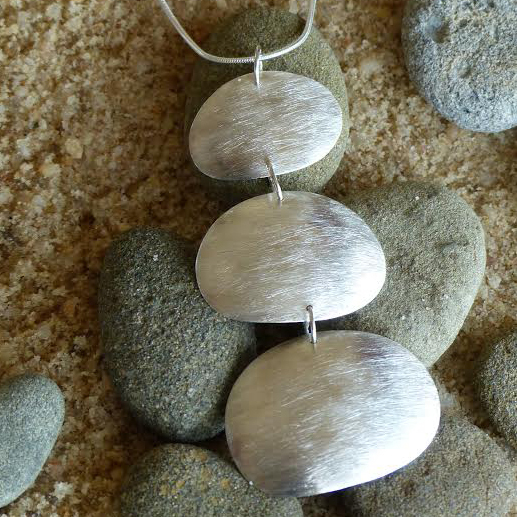 This lovely ‘Pebble’ necklace is one of those you can dress up or down. 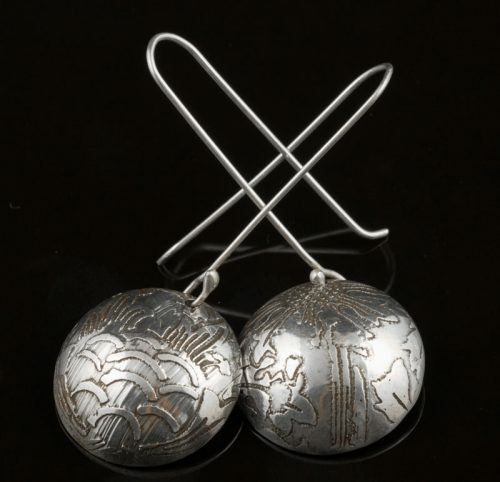 Three sterling silver ‘pebbles’ hang 3″ or 7.5cm from a 18″ or 45cm snake chain and are shaped from actual beach pebbles. 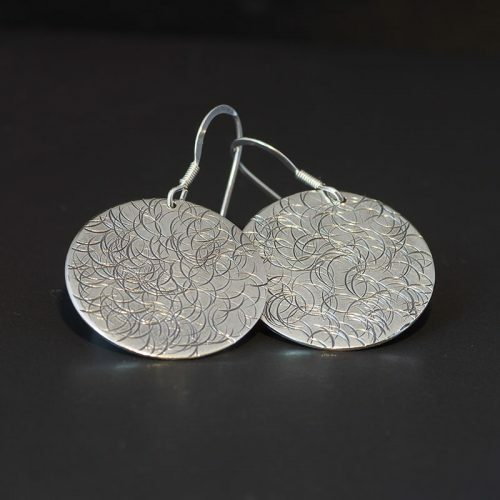 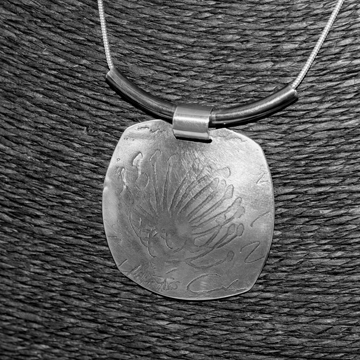 The sterling silver is brushed, representing the flat, tumbled surface of the salt water-worn beach pebbles. 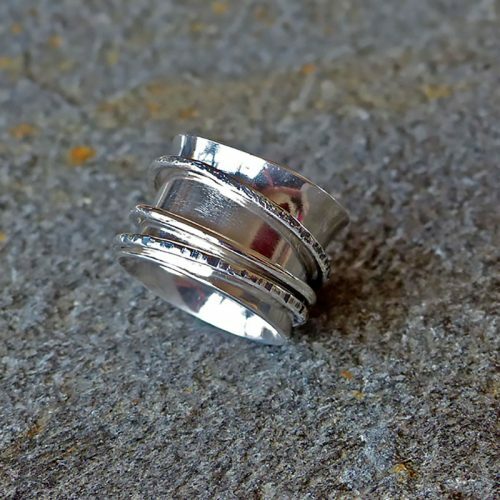 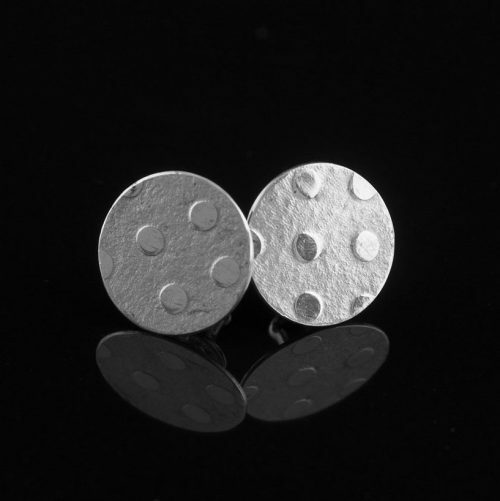 As the sterling silver ‘pebbles’ are shaped from actual beach pebbles, some shapes may be slightly different from those shown in the photograph. 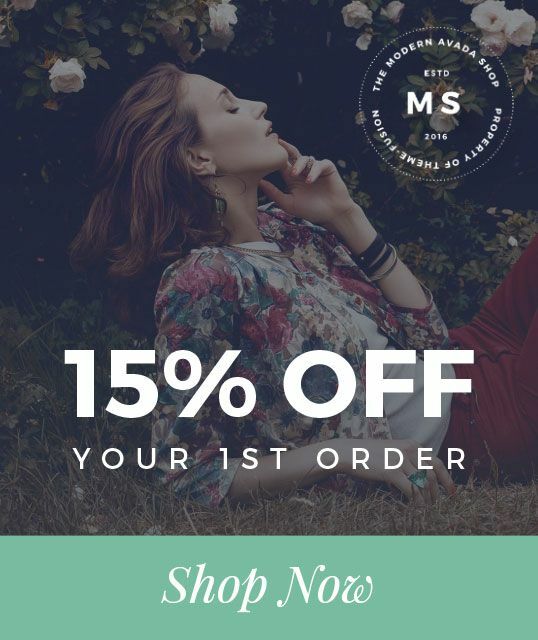 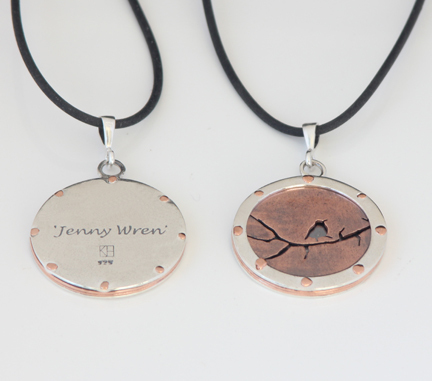 A larger version and matching earrings and bracelets are also available.